Congrats Nazeera and Bianca on being the lucky winners of this giveaway! 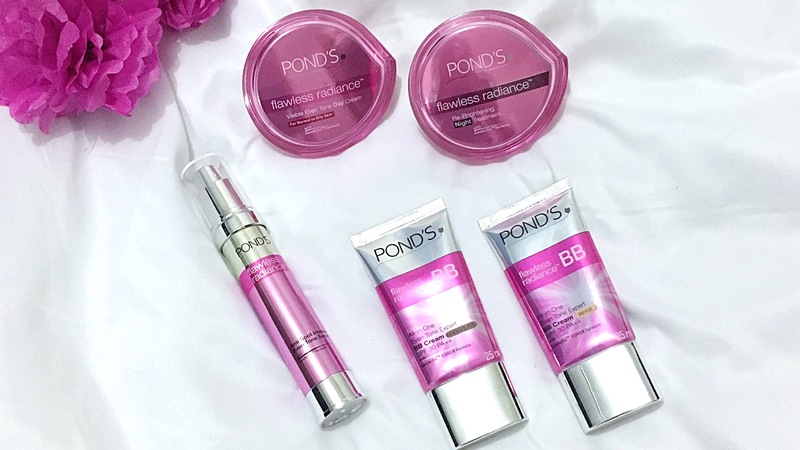 A few days ago, I reviewed the POND’S Flawless Radiance range here on the blog and I basically told you how POND’S aims to help you win the battle against dark marks – well, today I’m giving away 2 POND’S Flawless Radiance Hamper to help you do just that! Included in the hamper, is the POND’S Flawless Radiance Day Cream, Night Cream Anti-Spot Serum, BB Cream – basically everything to get your skin looking and feeling flawlessly radiant. If you have been following POND’S on any of their social media handles recently, you’re bound to be aware of their #beautifulhabits campaign – so to enter, all you’ve got to is share your #beautifulhabit for preventing and dealing with dark marks caused by delayed sun damage – be it using an SPF or wearing a hat, whatever it is, I want to know! You can enter in the comments below or you can Instagram or Tweet me with your beautiful habit and the hashtag #BeautifulHabits . If dark circles are your archenemy, then you definitely need an eye cream to help you fight (and win) this battle. I was recently sent the entire POND’S Flawless Radiance Range, however my skin has been behaving rather badly, so I wasn’t able to test out most of the products in the range – considering that they’re facial products, I just wasn’t willing to risk a breakout. The only product that I was able to test out, was of course the Under-Eye Cream. Clear, fresh and radiant – 3 words that accurately describe the skin goals of most probably, every woman out there. And the great news is, that POND’S has formulated a product to help you achieve just that! The new POND’S complete solution spot clear even tone facial foam has been specifically developed for teens with acne/spot-prone skin. As cleansers play a vital role in keeping your skin fresh and renewed, POND’S thought it’d be a great idea to formulate a cleanser that aids in keeping skin healthy and clear by washing away dirt, oil and spot causing bacteria. And they sent me a few tubes to try out for myself! This multi-action facial foam and scrub is aimed at fighting 10 oil and spot related problems from deep within the epidermal layer. It was designed to help control oil, clear pimples, reduce blemishes and redness, calm the skin, remove blackheads and whiteheads, tighten pores and smooth and brighten skin. It contains 4 powerful ingredients – salicylic acid, herbal clay, scrub beads and brightening essence – which will encourage skin to be at it’s freshest and clearest at all times. I’ve only started using the POND’S complete solution spot clear even tone facial foam on my nose to remove blackheads and my skin has taken well to it. My skin is quite sensitive therefore I usually breakout if a product doesn’t agree with my skin. However, since I’ve been using this product, which has only been a for few days, I haven’t had a negative reaction. In terms of getting rid of the blackheads, I’m closely monitoring any new appearance or removals of blackheads and will be sure to update you as soon as I have something to report on. I’ve also distributed a few of these to teens that are suffering with spots and dull skin – and will defo compile another post documenting their results and thoughts on this product. In the mean time, if you’re eager to try out this product, I highly recommend you do. Firstly, because I’ve used it and didn’t breakout so it’s safe to use. Secondly, you can get a 15ml tube for just R6.99 – yeah guys, just R6.99 so it ain’t going to break the bank. And if you’re totally convinced and slightly obsessed with this product after reading this, you can get the 50ml which retails for R32.99 or get the 100ml for just R49.99. 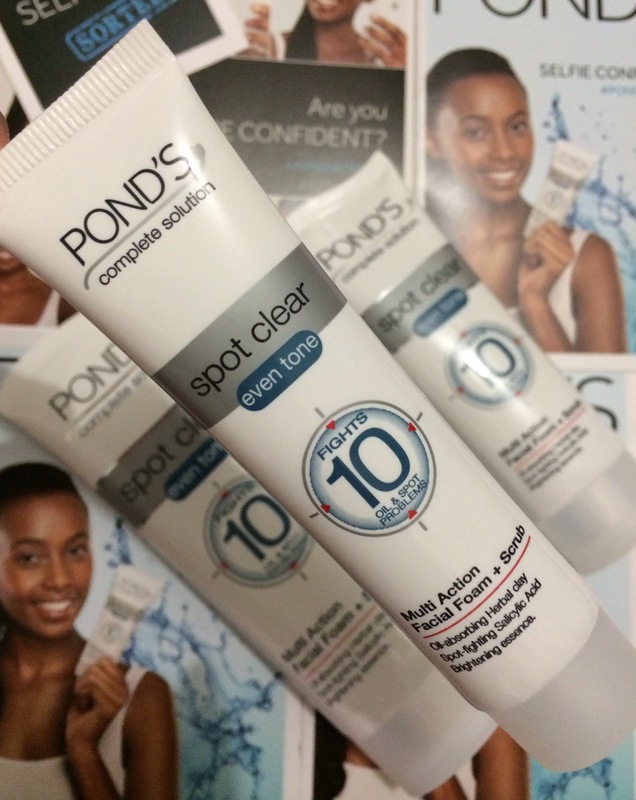 Use POND’S complete solution spot clear even tone facial foam.